The Denver Metro area is just east of the Rocky Mountains. Denver has been nick-named the Mile-High City because it is actually one mile above sea level. Denver is home to the National Football League’s Denver Broncos, and the National League’s Baseball team, the Colorado Rockies. It’s also home of the National Hockey League’s team, the Colorado Avalanche, and the National Basketball Association’s team, the Denver Nuggets. The Denver Outlaws, Denver’s Lacrosse team, is also located here. You’ll find the climate has all four seasons, with an average of 300 sunny days a year, and is considered “semi-arid”. There are over 200 parks for recreational purposes, and there are over 80 neighborhoods in the metro area. 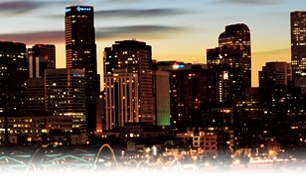 Real Estate in Denver metro area is very diverse and offers you, as a Denver metro area Home Buyer, many choices. Homes for sale in Denver metro area CO includes the historic downtown Denver with lofts and high-rise living opportunities. Denver metro area CO Homes also includes these counties: Denver, Jefferson, Arapahoe, Adams, Boulder, Douglas, and Broomfield. Each county has its own flavor and lifestyle. Since the Denver metro area CO Real Estate offers such a wide variety of neighborhoods, you will need a knowledgeable Realtor to help with your decisions. Denver metro area CO Homes offers new master-planned communities, mountain communities, affluent communities, rural farm-land communities, active lifestyle communities and communities near the Denver Tech Center. You’ll find all the amenities you desire or have dreamed of in the Denver metro area homes for sale. The Denver Metro area offers numerous cultural events throughout the year and spans over seven counties. You’ll find the Red Rocks Amphitheater and Park, Denver Zoo, Denver Art Museum, and Denver Museum of Nature and Science all near downtown Denver for your enjoyment. Just outside of Denver, you’ll find several ski resorts for wintertime fun and recreation. Cherry Creek Shopping Center is the destination for many tourists, as well as many other specialty shops and fabulous restaurants throughout the metro area. With a very short drive to the Rocky Mountains, families can enjoy skiing, snowboarding, and snowmobiling in the winter. In the fall, the golden aspens in the mountains contrast beautifully with the deep green pines. Once the snow melts in the spring, fills area creeks and rivers with clear, rushing waters that attract campers, sightseers and trout fishermen. Summer activities include camping, off-roading, and extensive opportunities for hiking and other outdoor activities. To find out more information on this area contact Karen Bellamy with all your real estate needs. Denver Metro Area, Colorado, Parker, Colorado , Castle Rock, Colorado, Highlands Ranch, Colorado, Aurora, Colorado, and Lone Tree, Colorado. Contact Karen Bellamy to find out more about these communities.